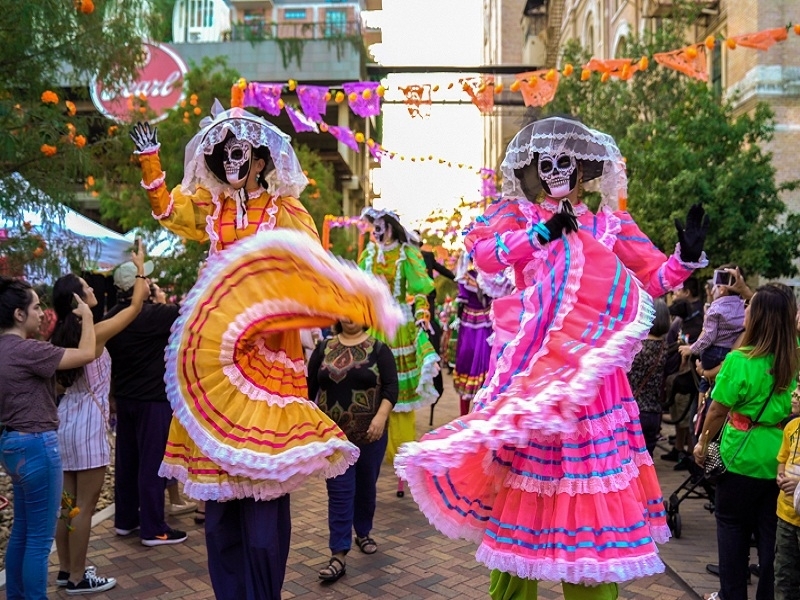 USPA NEWS - When it comes to Día de Los Muertos, or Day of the Dead, there's No Place in the United States that observes this Traditionally Mexican Holiday quite like San Antonio. This year, as the City celebrates its Tricentennial Anniversary, there will be more than 20 Unique Events from October 20 through November 3 -- more than any Other City in Texas, and likely any Other City in the Country. When it comes to Día de Los Muertos, or Day of the Dead, there's No Place in the United States that observes this Traditionally Mexican Holiday quite like San Antonio. This year, as the City celebrates its Tricentennial Anniversary, there will be more than 20 Unique Events from October 20 through November 3 -- more than any Other City in Texas, and likely any Other City in the Country. Mexican Roots run deep in San Antonio (which is a Previous Colonial Capital of New Spain and State Capital of the Mexican State of Coahuila y Tejas). The City is a Three-Hour Drive from the U.S.-Mexico Border, and more than 60 % of the City's Population is of Mexican Descent. This Cultural Heritage is Evident through San Antonio's Unwavering Celebratory Spirit -- the City hosts a Seemingly Endless Roster of Festivals and Events each year, including the 10-Day-Long Fiesta San Antonio in April -- and also is distinctly felt when it comes to Día de Los Muertos. This Year's Events run the Gamut, from Small Gatherings with Traditional Altars and Face Painting to Multiple-Day Festivals featuring Live Music, Stilt Walkers, Mexican Cuisine and Festive Parades. In addition to Official Celebrations, Restaurants and Cafes across San Antonio will showcase Altars, Customary Décor and Fresh-Baked Pan de Muerto, a Popular Type of Sweet Bread that is also used as an Offering to Loved Ones who have passed. This Collective Spirit offers an Unforgettable Way to experience the City, as well as to gain Insight into this Unique, Historic Holiday which views Death with Lightness and Humor rather than Fear. Most Events are Family Friendly, allowing Children to learn about the Rich Traditions of the Holiday, helping it continue for Generations to come.